This is .223 Hornady Varmint Express 40gr. 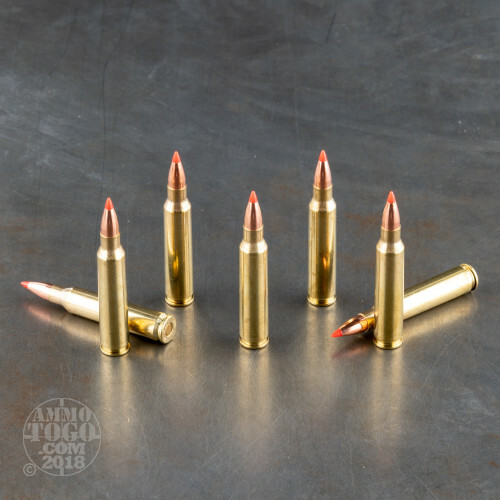 V-Max Polymer Tip Ammo. Hornady’s V-MAX bullets consistently achieve rapid fragmentation at all practical varmint shooting velocities. Every Hornady Varmint Express cartridge is hand inspected before leaving their factory, ensuring there are no cosmetic flaws and imperfections. 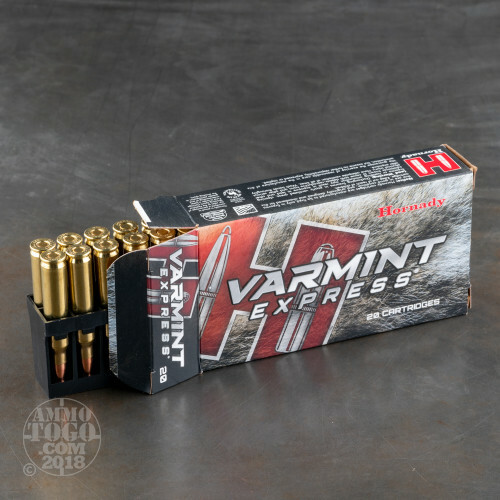 The powder in a Varmint Express cartridge is selected for its consistency from lot to lot. That means consistent accuracy and optimum pressure and velocity on every shot. 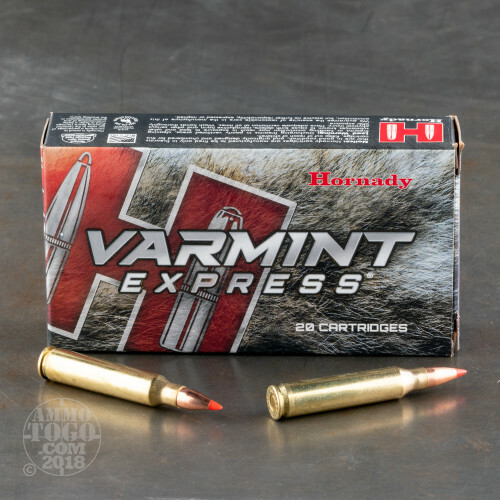 All the cases chosen for use in the Varmint Express ammo are made in America and meet Hornady’s stringent quality standards. 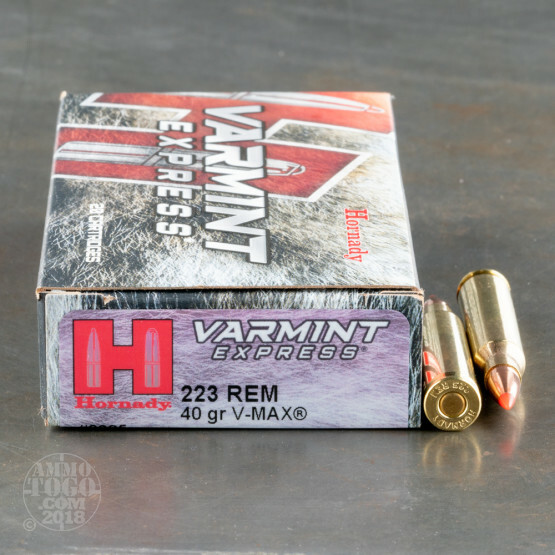 Each primer is matched with a specific Varmint Express load to ensure quick, complete ignition. This ammo is premium hunting ammo in everyway, if you want the best, shoot Hornady ammo. This ammo is packed in 20rd. boxes.